Jay Gerzog is a partner in the firm's Corporate Practice Group and leads the New York Office’s healthcare team. Jay is recognized nationally as a leading healthcare and nonprofit corporate attorney with over three decades of experience. His practice focuses on representing both tax-exempt institutions and for-profit companies primarily in the healthcare sector. Jay has served as deal counsel in many of the consolidation transactions and strategic alliances that have transformed the New York metropolitan healthcare landscape over the past. Jay routinely advises clients on a wide range of transactional matters, including complex corporate affiliations and disaffiliations, mergers and acquisitions, joint ventures, corporate restructuring, operational and contracting matters, and strategic planning. Jay's healthcare clients include integrated healthcare delivery systems, hospitals, academic medical centers, ambulatory surgery centers, managed care organizations, private equity and strategic investors, management companies, scientific research organizations, payers, physician groups, and other healthcare providers and tax-exempt organizations. In the nonprofit and tax-exempt organization area, Jay routinely assists clients with obtaining and maintaining tax-exempt and public charity status and with compliance with state nonprofit laws and federal tax law for tax-exempt organizations. He advises nonprofit clients on the development and implementation of corporate governance, fiduciary duties, conflict of interest, ethics, audit and executive compensation best practices, compliance programs and policies, including on management structures and internal control systems to prevent and detect violations of law. Jay’s experience includes representing nonprofit managed care plans in the sale and dissolution of their operations and the related complex state regulatory approval process. He is uniquely experienced in the conversion of nonprofit entities, such as Blue Cross Blue Shield health plans and various healthcare facilities, to for-profit status. 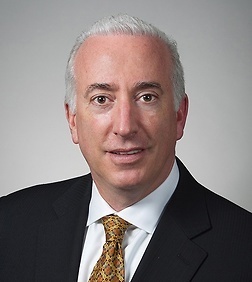 Jay recently led the representation of the corporate members of Fidelis Care, New York's largest Medicaid managed care plan, in its $3.75 billion asset sale to Centene Corporation, the nation's largest Medicaid managed care plan provider. The proceeds of the sale have been used to create one of the largest healthcare grantmaking foundations in the country.